Concerning the CPG Language classes, we would like to inform you that we have closed the applicant period. We have received more applications than expected by far and the vast majority of applicants expressed the wish to study at the weekends and at Tha Prachan Campus only. We are trying now to meet your needs and accommodate as many applicants as possible. In case that you are not any more intending to actually participate the classes, please do inform us as soon as possible to enable us to consider other applications. In any way, we will try to offer a place to as many participants as possible according to your wishes and will announce the results on Facebook within this week. 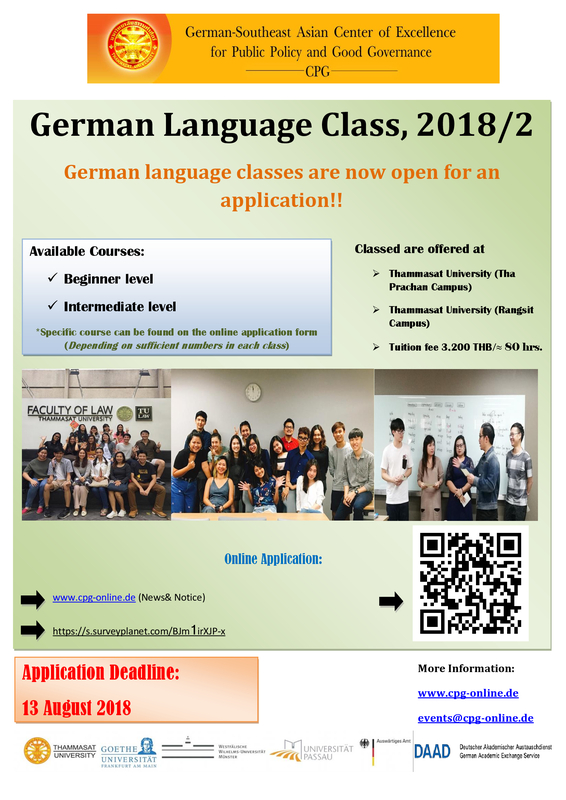 CPG’s German language classes are now open for application! Courses are provided for Beginner, Intermediate and Advanced levels (Advanced level depending on the number of applicants). 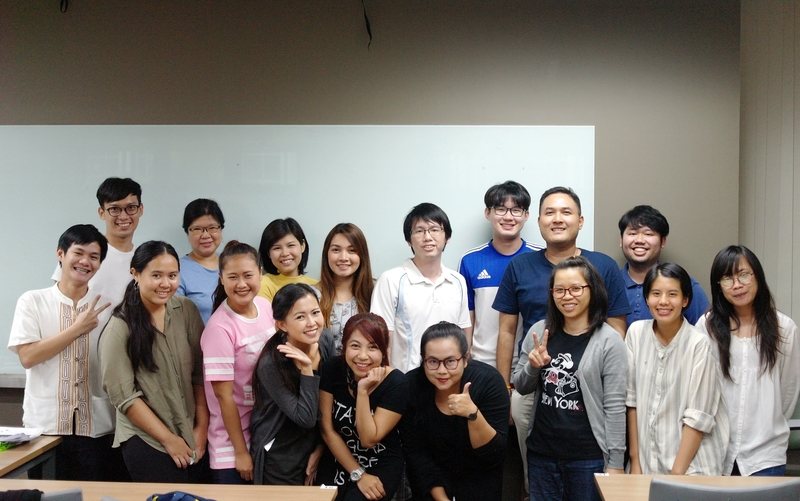 Classes are offered at the Faculty of Law, both at Tha Prachan Campus and Rangsit Campus. 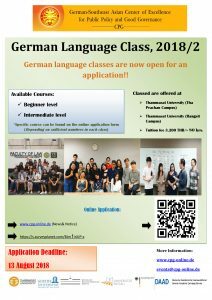 The course fee is 3,200 Baht for approximately 80 hours, taught by German and Thai lectures from the Faculty of Liberal Arts (including all material and sheets). The deadline for submissions was on 13 August 2018. Selection results will be announced on 21 August 2018. More information about the previous courses.